Often times, reaching out for help is the most difficult part. For many government workers like Sabrina, or others living paycheck to paycheck, this is the first time they’ve turned to the Food Bank to help make ends meet. We’re ready to help all Texans affected by the shutdown, but all of this extra demand is putting a strain on our resources. When you join us in lending a helping hand, you’re not alone. Today, when you make your most generous gift, it will be matched, up to $5,000, by a longtime volunteer and supporter of the Food Bank. That means every dollar donated will be doubled! 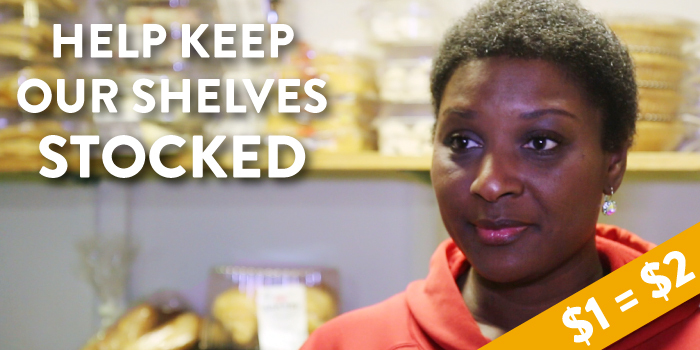 Every donation ensures that our shelves are stocked so we can respond when and where our help is needed most. Each dollar makes a big difference in the life of someone in need. Are you or someone you know currently furloughed? We’re here to help. You can find food near you at www.centraltexasfoodbank.org/find-food. Provides 100 meals for your neighbors in need. Provides 200 meals for your neighbors in need. Provides 400 meals for your neighbors in need. Provides 1,000 meals for your neighbors in need. 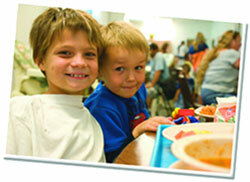 Provides 2,000 meals for your neighbors in need. Check this box to receive e-mail updates from Central Texas Food Bank. You can unsubscribe at any time.